What Are The Differences Between Vehicular Homicide And Aggravated Vehicular Homicide In Ohio? Ohio has several variations of what is commonly known as vehicular homicide. Generally, vehicular homicide is causing the death of another person while operating a vehicle. In the Ohio Revised Code, there are actually three separate offenses: (1) Aggravated Vehicular Homicide; (2) Vehicular Homicide; and (3) Vehicular Manslaughter. 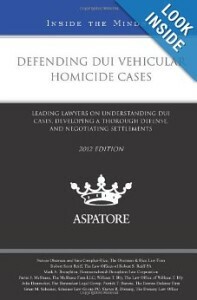 The offenses defined in the Ohio Revised Code are distinguished by the driver’s conduct (actus reus) and the driver’s state of mind (mens rea). The particular offense with which a defendant is convicted makes a substantial difference in the sentence imposed by the court. Aggravated Vehicular Homicide can be committed in one of three ways. The first way is causing the death of another person as a result of operating a vehicle under the influence of alcohol or drugs. The second way is causing the death of another person as a result of operating a vehicle recklessly. The third way is causing the death of another person as a result of committing a Reckless Operation offense in a construction zone. The sentence for Aggravated Vehicular Homicide in Ohio depends on how the offense is committed. If a person is under the influence of alcohol or drugs, the offense is a second degree felony carrying a mandatory prison sentence of up to eight years and a mandatory lifetime driver’s license suspension. If a person is reckless or commits a Reckless Operation offense in a construction zone, the offense is a third degree felony carrying up to five years in prison and a driver’s license suspension from three years to life. If certain factors exist, the offense level and potential sentence are increased. Vehicular Homicide can be committed in two ways. The first way is causing the death of another person negligently. The second way is causing the death of another person as a result of committing a Speeding offense in a construction zone. Vehicular Manslaughter is committed by causing the death of another person as a result of committing a minor misdemeanor traffic offense. The sentences for Vehicular Homicide and Vehicular Manslaughter depend on how the offense is committed. If a person is negligent or speeds in a construction zone, the offense of Vehicular Homicide is a first degree misdemeanor carrying up to six months in jail and a driver’s license suspension for one to five years. If a person commits a minor misdemeanor traffic offense, the offense of Vehicular Manslaughter is a second degree misdemeanor carrying up to 90 days in jail and a driver’s license suspension for six months to three years. If certain criteria are present, the offense level and potential sentence are increased. I recently finished a jury trial which illustrates the significant differences in vehicular homicide offenses. My client was charged with Aggravated Vehicular Homicide based on recklessness and Vehicular Homicide based on negligence. Ohio law defines recklessness with a subjective standard: did that driver know there was a risk his or her driving would likely cause a collision, and did that driver perversely disregard that known risk with heedless indifference to the consequences? On the other hand, Ohio law defines negligence with an objective standard: did the driver fail to perceive or avoid a risk that his or her driving may cause a collision because of a substantial lapse of due care? Due care is the amount of care which a reasonably prudent person is accustomed to use under the same or similar circumstances. The jury concluded my client was not reckless but was negligent: my client was found not guilty of Aggravated Vehicular Homicide but guilty of Vehicular Homicide. As a result, the potential incarceration was up to six months in jail rather than five years in prison. While this may be considered a trial ‘victory’, there are no real winners in this type of case.